With New Zealand banks tasked with paving the way towards open banking in a way that avoids government regulation, a comprehensive Australian Government report has set out a blueprint for introducing open banking in Australia. And the Australian report says open banking should be legislated with the Australian Competition and Consumer Commission (ACCC) its primary regulator. It says the data required to be shared should be customer-provided data, transaction data that is stored in a digital form for specific types of accounts held in Australia, and product data. Data should be transferred free of charge via APIs, or application programming interfaces. Interestingly, the report says Australia's big four banks - the parents of NZ's ANZ, ASB, BNZ and Westpac - should be required to comply with a direction to share data under open banking from the commencement date. All other Authorised Deposit-taking institutions (ADIs) should be required to participate 12 months later. Open banking gives customers greater access to and control over their own banking data, and requires banks to give third parties access to their systems. Open banking developments across the Tasman are being watched closely by our government. Just before September's election then-Commerce and Consumer Affairs Minister Jacqui Dean wrote to Payments NZ CEO Steve Wiggins, a letter that was copied to the CEOs of NZ's major banks, asking Payments NZ to report back to her by April this year on how specific areas of work, including industry-led initiatives towards open banking, are progressing. Dean also said she would seek officials’ advice on the progress being made, any alternative views expressed by relevant stakeholders, and whether further work on regulatory options was required, taking into account overseas developments. Dean said developments in Australia would be particularly relevant given that market is dominated by the parents of NZ's big four banks. "I propose to report back to Cabinet by July 2018 on progress and whether any next steps are warranted," Dean wrote. New Commerce and Consumer Affairs Minister Kris Faafoi has told interest.co.nz he is pushing on with Dean's initiative. Against this backdrop Payments NZ, whose shareholders are banks, is running an open banking pilot as the clock ticks towards April. Meanwhile, the Australian report says open banking should require all ADIs, other than branches of foreign banks, to share customer data phased in over time. Non-ADI open banking participants should be required to share customer data and any other customer data they have acquired in the system. The report adds that data sharing should be applicable for all customers with a relevant account in Australia. Additionally there should be safeguards to protect the privacy, security and accountability of all participants. with open banking requiring informed, explicit customer consent. The report says data should only be shared when the customer has given an explicit direction to the data holder to do so. Moreover customers should be notified of the data they are sharing and be able to revoke access easily. Customers should be able to see their open banking interactions, and customers who don't use internet banking should still be able to share their data with third parties through service channels already offered by their bank. Australia's Privacy Act should continue to protect customer data under open banking, with all businesses accredited to participate in open banking required to comply. Small business customers should have similar access to alternative dispute resolution services for confidentiality disputes to that of consumers under the Privacy Act, the report adds. "A period of approximately 12 months should be allowed from a final Government decision on open banking for implementation (the Commencement Date). The ACCC should be empowered to adjust the Commencement Date if necessary," the report says. "The steps to implementation include amending existing laws and regulations, determining roles of regulators and agencies, settling and promulgating rules, establishing an accreditation framework and setting criteria, establishing a Data Standards Body and setting standards and IT building and testing by open banking participants." "Open banking should begin by requiring transaction and product data to be available for transfer at the direction of the customer. The timing for implementation of customer-provided data should be determined by the Regulator once consideration of proposed AML law reforms has been finalised," the report says. It goes on to say consumer education is important to open banking's success because customers will only use open banking if they understand and trust it. 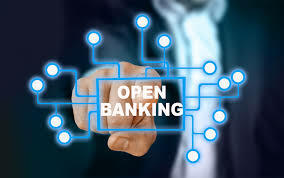 "All open banking participants should play a role in this education, including banks and FinTech firms, as well as the Government, industry bodies and consumer advocacy groups. The ACCC should coordinate and implement a timely consumer education programme." The report says open banking should be formally evaluated 12 months after launches. The report's foreword, by Scott Farrell who was appointed by Australia's Treasurer Scott Morrison to lead the Review, outlines four principles. They are' open banking should be customer focussed, it should encourage competition, it should create opportunities, and it should be efficient and fair. "An accumulation of evidence suggests that many Australian consumers and businesses could be getting a better deal on banking," the report says. "Standard economic theory, and a range of corroborating empirical evidence, suggests that markets work most efficiently when: customers are informed; there is transparency in pricing and in the quality of available products and services; there is a level playing field between competitors; and where the costs of switching between providers and barriers to entry for new providers are low." "At its most fundamental level, open banking seeks to reduce those barriers. Requiring banks to grant open access to data on their product terms and conditions while giving customers the ability to direct their bank to securely share their banking data with whom they choose, should lead to the development of comparison services better able to provide tailored product recommendations. Better tailored product recommendations could dramatically simplify the choices faced by customers when accessing financial services. And giving customers the ability to transfer their data to a new provider will help to overcome the ‘hassle factor’ that sees customers stick with their current provider even in the presence of more competitive deals elsewhere," the report says. "For competing providers and new market entrants, their ability to attract customers away from incumbent firms is hampered by their ability to efficiently and accurately assess the suitability of potential customers. This places them at a significant competitive disadvantage to incumbent firms that are able to use data they hold on their customers largely for their exclusive benefit," says the report. In a statement on the report Morrison notes it makes 50 recommendations, and describes it as "a first-class report" that maps out a "practical and sensible model that is positively customer-focused and drives competition, while spelling out strong safeguards that protect customers’ privacy." Interested parties now have until March 23 to make submissions on the report's recommendations. A July 2019 launch for Australia's open banking regime is the target. The full report, which includes the recommendations, is here. The Turnbull government on the 14th of February 2018 whisked through the senate and into law the APRA crisis resolution bill with only 7 out 76 senators present....there was zero opposition voiced from the greens and labour present....this now gives the banksters the power to bail in depositers in the event of a banking crisis the same as the OBR legislation in NZ.....thieving godless bastards!! Whatever effect this has on depositors in Australia, it does not affect the Australian government guarantee for depositors of $250,000 per financial institution (about 100 to choose from) - which is a tremendous difference from the world unique OBR scheme the RBNZ has put into place for NZ depositors - who can all be bailed in without any of their deposit being protected.